Summer is on the horizon and, like most fashion-minded folk, we’re eager to stock up on warm weather styles. Which is why we fell in love with Aly’s closet; it’s a veritable one-stop-shop for beach-worthy duds. From kimonos to shorts – many new with tags! – this closet has it all. We suggest stopping by this stylish closet for your next Posh find before her closet is cleaned out. Now that we have shared a closet we want to raid, check out these Poshers sharing their Posh Finds with a #ClosetCrush post. What are you waiting for? 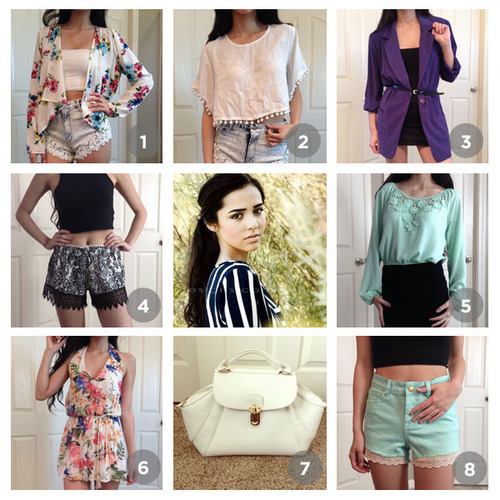 Snap your Posh Finds, tag a seller and say thanks with a #ClosetCrush post of your own!